This sand general stair tread is just one of Sure-Foot’s designs for anti-slip flooring solutions. 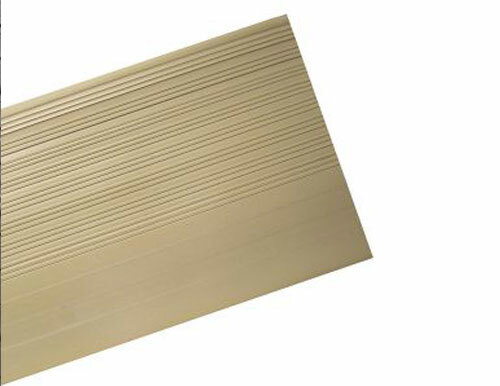 Our vinyl stair treads are manufactured to withstand heavy foot traffic and are easy to maintain. These slip-resistant stair treads are a cost-effective solution for safe footing. If you’re concerned about noise from high traffic areas these vinyl stair treads can help quiet things down. Ensure safe footing in potentially slippery situations without compromising the appearance of your stairs with our ribbed designs. These stair treads are perfect for hospitals, medical buildings, schools, industrial buildings and more!